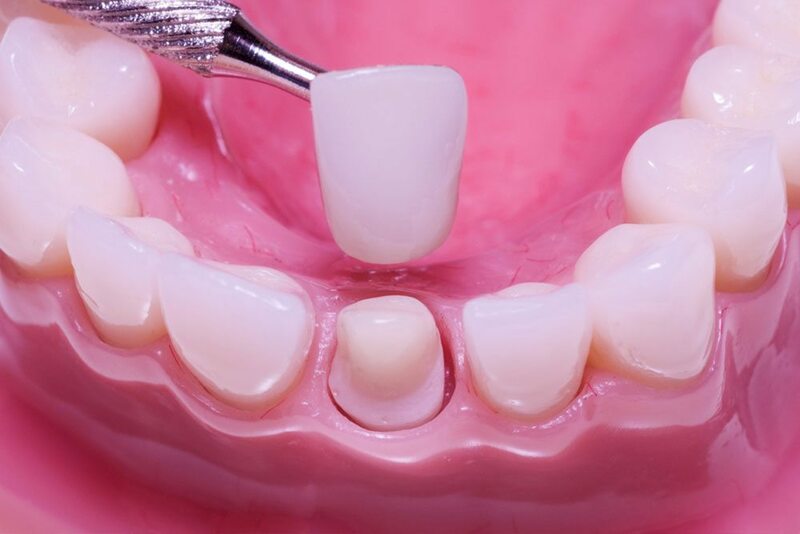 Porcelain is one of the most aesthetically pleasing and trusted materials in dentistry. Most commonly, it is used for crafting customizable crowns and bridges used to restore or replace teeth. Each restoration is carefully matched to blend with your smile, in both colour and shape. 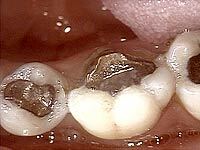 Crowns encompass the entire tooth surface above the gumlines. They are recommended when there is not enough sound tooth structure to support a filling. 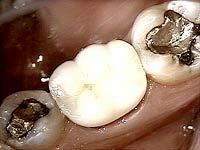 Without a crown, the remaining enamel would easily break away, until there is no longer enough tooth to function. A bridge is like having three to four crowns fused side by side, with the crowns on each end being anchored over healthy teeth. Between them, the pontic crowns bridge the open space left by your missing teeth. It’s important to carefully brush and floss around your bridge or crown each day. Otherwise, bacteria can cause new areas of decay to develop around your restoration. Good home care is essential to extending the life of your teeth. Dr. Brown or one of our staff will be happy to show you alternative aids or hygiene methods that can be used in hard-to-reach areas. When replacing your missing teeth with dental implants, a porcelain crown or bridge is typically recommended. This allows Dr. Brown to replace the exact number of teeth that are missing, without having to alter the structure of a neighbouring tooth. If your smile needs a bit of tender loving care, we invite you to schedule a consultation and exam with Dr. Brown. He will review his findings and recommendations with you, so that you can select the best treatment for your individual needs. Most crown and bridge treatments require two separate visits to our office. Or, you can consider our CEREC same-day crowns, which take only one appointment to complete. For more information on scheduling and financing options, call us today.